CHICAGO – The hilarious comedy of Jim Gaffigan is about to go beyond Hot Pockets. Gaffigan will be in the Chicago area on May 8th and 9th, 2013, to promote his very first book, “Dad is Fat,” in which he applies his keen observational powers through his experience in being a father of five children. HollywoodChicago.com talked to Jim Gaffigan via phone in anticipation of his book promotion tour in Chicago, appearing at Pfeffier Hall in Naperville, Ill., for Anderson’s Bookshop on Thursday, May 9th and at the UP Comedy Club in Chicago on Friday, May 10th (see below the interview for details). HollywoodChicago.com: ‘Dad is Fat’ is your first book. Were you pitched the project or did you pitch it? Jim Gaffigan: I pitched it. Several years ago, I was offered some money to do a book, but I was hesitant to find the right topic. I had a gut feeling I wanted it to be about parenting, but I wasn’t sure what angle to approach it from – I didn’t want it to be a ‘sassy’ parenting book and I certainly didn’t want it to be a ‘I hate my kids’ kind of book. I had to find a balance between that. When I got done with the recent ‘Mr. Universe’ stand-up special, when I talked about having four kids and how overwhelming that was, I found out that my wife was pregnant with our fifth. I knew then what the topic of the book would be. HollywoodChicago.com: The book has a very funny story about a Grand Canyon trip with new parents, before you and your wife became parents. When you finally took the reproductive plunge, did you ever have a moment like you described with Tom and Barb, finally understanding that time honored phrase, ‘you’re not a parent, you wouldn’t understand’? Gaffigan: Yeah, but the point of that essay is to remember that point of view, at the point when we didn’t have kids, when you view parents as lunatics. It mostly people with their first kid, they’re finding their way. You’re really a kid yourself when you have that first one, in your development as a parent. All of us have that type of parenting with our first ones, we’re all lunatics. HollywoodChicago.com: The absurdity of the family unit is ripe for an observational comic as yourself. Do you ever feeling like you’re outside the situation even though you’re a part of it, because of how your brain reacts as a comedian? Gaffigan: I definitely feel like I’m doing ongoing research all the time on the topic of young children. [laughs] Because I have young children, I was surprise about how much I forgot as a parent, whether about newborns or pregnancy, and it’s probably an intended forgetfulness. Like we always forget how crazy our families are, which allows us to go back to them at Thanksgiving. Parenting is similar to that, and as an observational comedian having five kids allows for great research that became the book. Gaffigan: Michigan City! That was civilization. You guys had movie theaters. HollywoodChicago.com: What do you observe about how differently your kids are growing by consequence of where you live and modern American life, versus our upbringing in Northern Indiana in the 1970s? HollywoodChicago.com: You’ve mentioned before that your family was kind of freaked out when you went into show business. What does your celebrity now buy you within your family and were you happy to tell them ‘I told you so’? HollywoodChicago.com: How long did it take approximately, from the first joke you told on stage to the establishment of your stand-up character, and what was the key swing moment in that evolution? Gaffigan: They – I don’t know who ‘they’ are – say it takes ten years to find your voice on stage. For me, my stand-up voice is a result of me trying to be a lot of things on stage. Developing the act in New York City, among the many stabs of energies and styles, I was trying too hard to get on late night television. Eventually, I decided that if I was going to do it, I’m going to do the type of comedy or point of view that I would like. That steered me towards an analysis of the id, and gluttony and laziness. The audience considers it ‘clean,’ I just view it as dealing with the minutiae. HollywoodChicago.com: I read in an earlier interview that you consider yourself a ‘character actor’ in your film and television work. What is the greatest challenge you’ve had as that kind of approach, and what did you get out of the experience that made you a better actor? 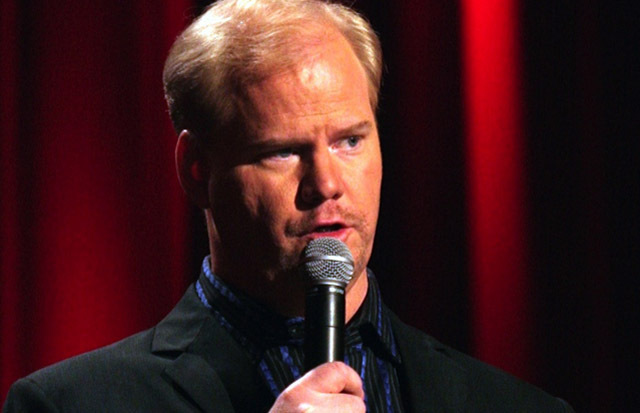 Gaffigan: Well, character actor is just code for ‘not good looking,’ right? The greatest surprise was embracing the fact that I was going to audition for the dorky, awkward dweeb. Even though I was an athlete in college, I still play the dorky guy. In stand up, you get an awareness of how you come across, but in acting there is almost a hyper-awareness on how you might be physically perceived. I do love to act, and what I learned that it’s an insane pursuit. The difference between auditioning for a role and being a stripper, is that the stripper probably makes a couple bucks. HollywoodChicago.com: You performed in Broadway revival of the play, ‘That Championship Season.’ What was that like, since you co-starred with some heavy hitters? Was it daunting for you? Gaffigan: It was daunting, there was the play itself, and there were guys like Jack Bauer [Kiefer Sutherland] and Mr. Big [Chris Noth] who were in it with me. There was something about them, because they had been doing it successfully since their twenties in acting, and this was the first play I’d ever done. It was intimidating, but I loved it. That play is a ‘guy’s play,’ and it was about our father’s generation. It was interesting to look back at that time. HollywoodChicago.com: You do so much riffing on the odd food habits of America. What do find weird about the opposite end of the spectrum, the people who describe themselves as ‘foodies’? Gaffigan: I’m a meat and potato guy. There is something about the foodie that is odd, because I’m not bored with a cheeseburger, I’m just not. I don’t know if I’m defining ‘foodie’ properly, but in lieu of high end restaurants I still like a great steak. For example, Chicago is a culinary paradise. When I go back, I eat deep dish pizza like I’m a tourist from Iowa. [laughs] That’s what I like. As a food comedian, when I was in Chicago I talked about the forty-five minute wait you have to endure to get the pizza. That’s where I found the humor. HollywoodChicago.com: Your character Andy Franklin from the TV series ‘My Boys’ disappeared in Season Four and was said to have a ‘new job in China.’ What do you theorize that Franklin did in China, and what is he doing now in the alternate universe of TVLand? Gaffigan: [Laughs] He’s in China. What a sloppy solution. ‘He’s in China.’ I wouldn’t begrudge if it was funny, but it’s not even funny. This absurd xenophobic view of China, as if air travel doesn’t exist. I know it’s hard to come up with a solution. My brother lived in China for ten years, and because there are so many expatriates there, when I visited him I didn’t have one meal that was Chinese food. You can insulate yourself from any culture, and I particularly loved that. 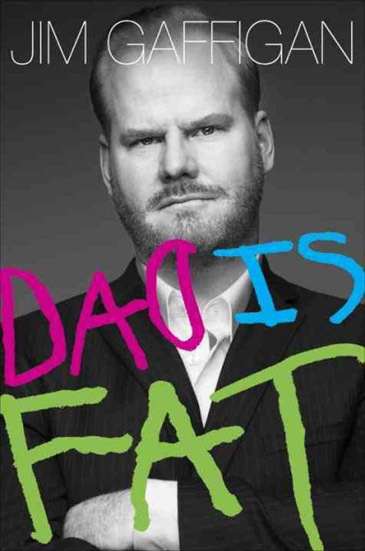 Jim Gaffigan will make two appearances in Chicago on behalf on his new book, “Dad is Fat.” On Thursday, May 9th, he will be at Pfeiffer Hall on North Central College in Naperville, Ill. at 7pm, for Anderson’s Bookshop. Click here for details. On Friday, May 10th, he will make an appearance at the UP Comedy Club in Chicago. Click here for details.